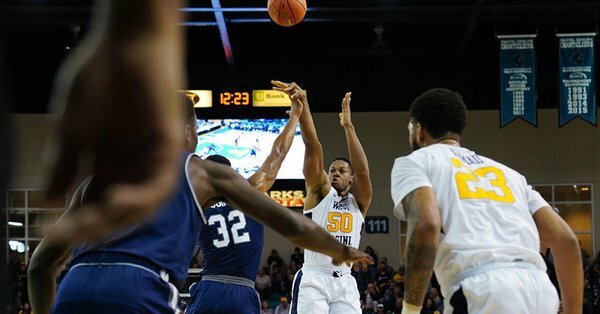 The West Virginia Mountaineers men’s basketball team followed up their season opening home loss to Buffalo with a 71-53 win over Monmouth in the Myrtle Beach Invitational. Esa Ahmad led the Mountaineers in scoring with 16 points. Sags Konate stuffed the stat sheet with 14 points, 8 rebounds, 3 assists and 4 blocks. James Bolden added 9 points for the Mountaineers. The Mountaineers were up 41-39 with 15 minutes to go in the game when they scored the next nine points and went on a 25-6 run that pushed the lead to 66-45 with under two minutes remaining. West Virginia improved to 1-1 with the win. Monmouth dropped to 0-4. Next up for the Mountaineers is Western Michigan. Tipoff for tonight’s game is at 9 p.m. EST and the game will be televised on ESPNU. It's Game Day! Day two of the Myrtle Beach Invitational.